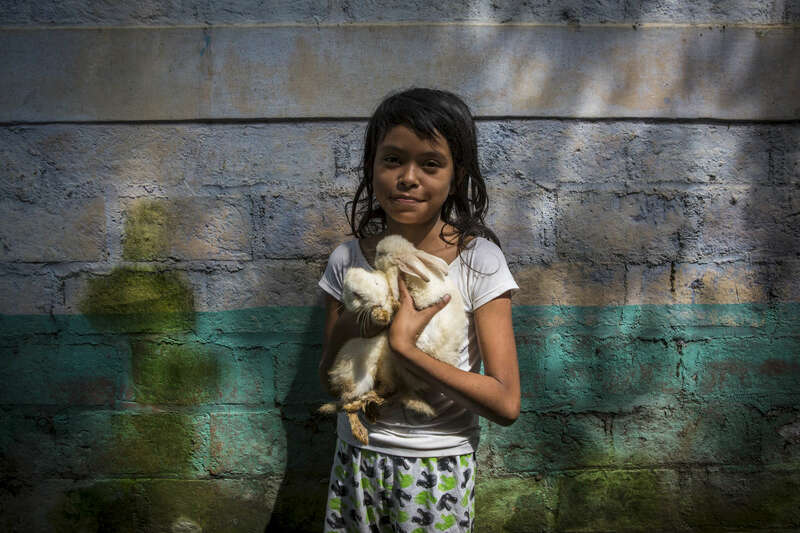 Nejapa, El Salvador- holds bunny rabbits outside her home but the Lutheran Church in Nejapa, El Salvador on Friday, June 22, 2018. There is a recently installed well in agreement with the Lutheran Church and the Ministry of Environment to monitor the depth of water in the aquifer sitting below Nejapa which measures at 180m deep. This is part of a plan to measure major aquifers around the country in order to record water levels. Once the plan is implemented, information should be share with all communities.